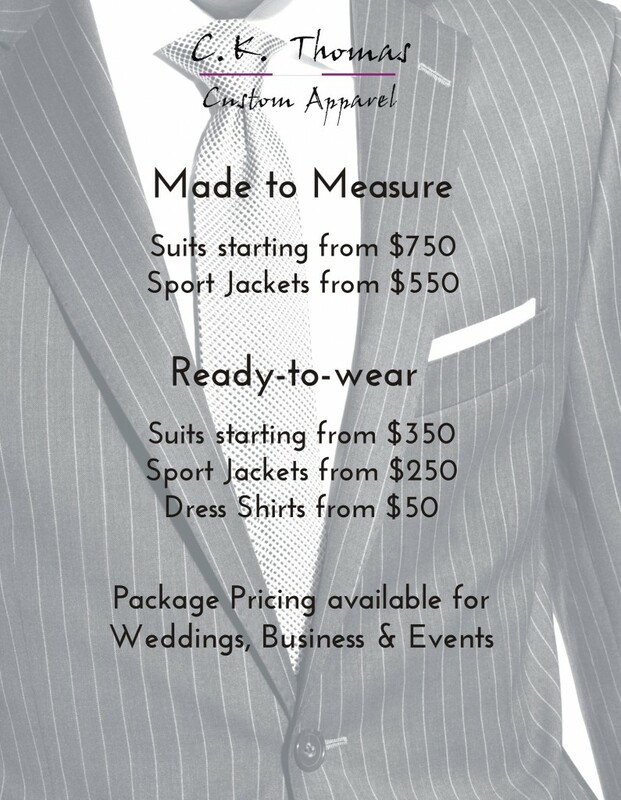 C. K. Thomas Custom Apparel offers several packages that can be designed to complement your existing wardrobe. 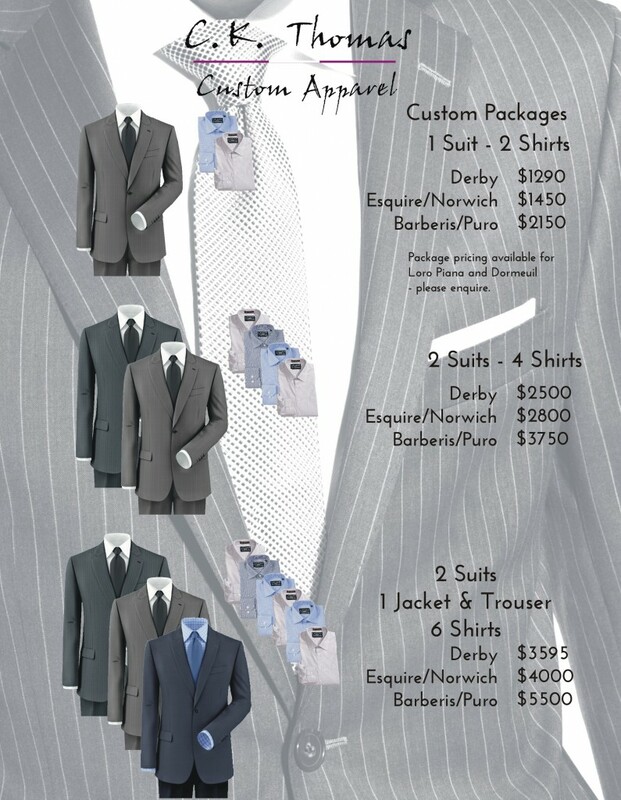 If you have specific needs that do not fall within the packages we offer, a custom package can be created just for you. 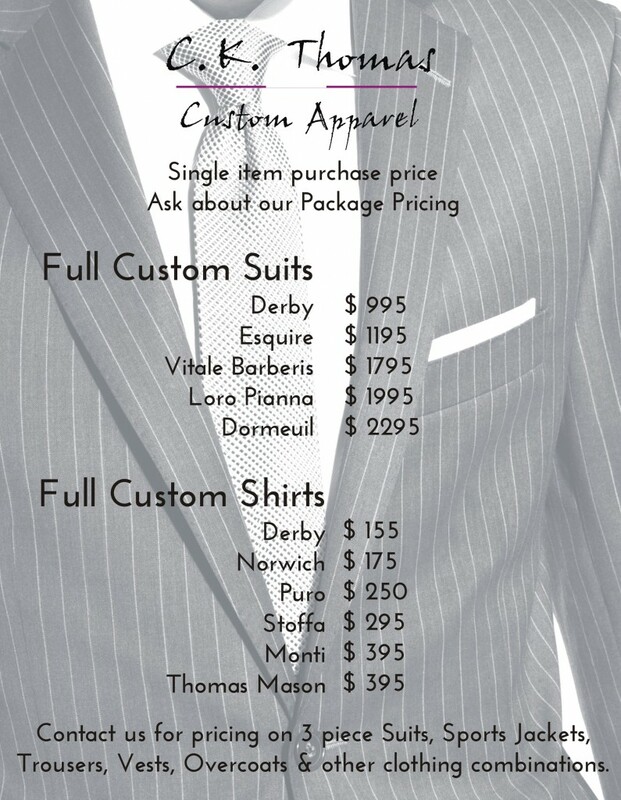 For more information or to answer any questions please contact us. class="page-template page-template-page-theme page-template-page-theme-php page page-id-31 samba_theme samba_left_nav samba_left_align samba_responsive collateral-product-columns-2 fully-background wpb-js-composer js-comp-ver-4.11.2.1 vc_responsive responsive-menu-slide-left"